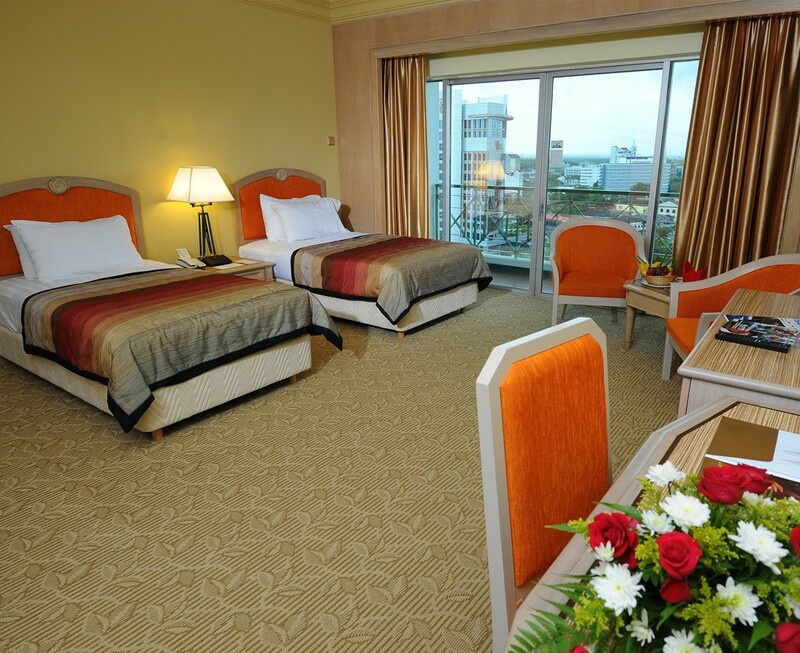 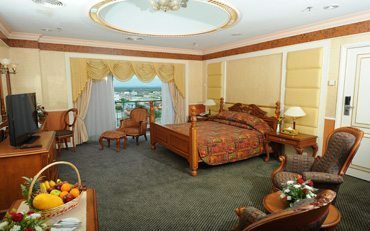 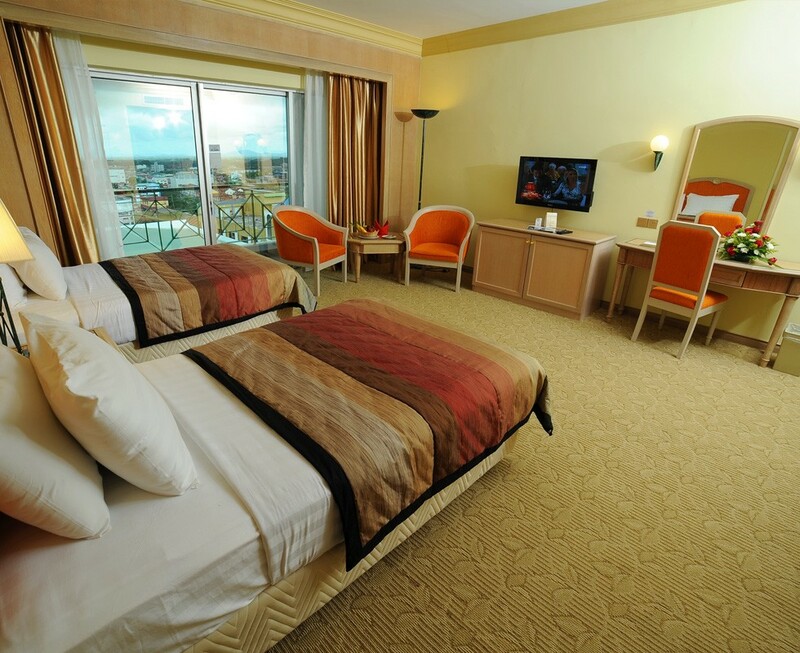 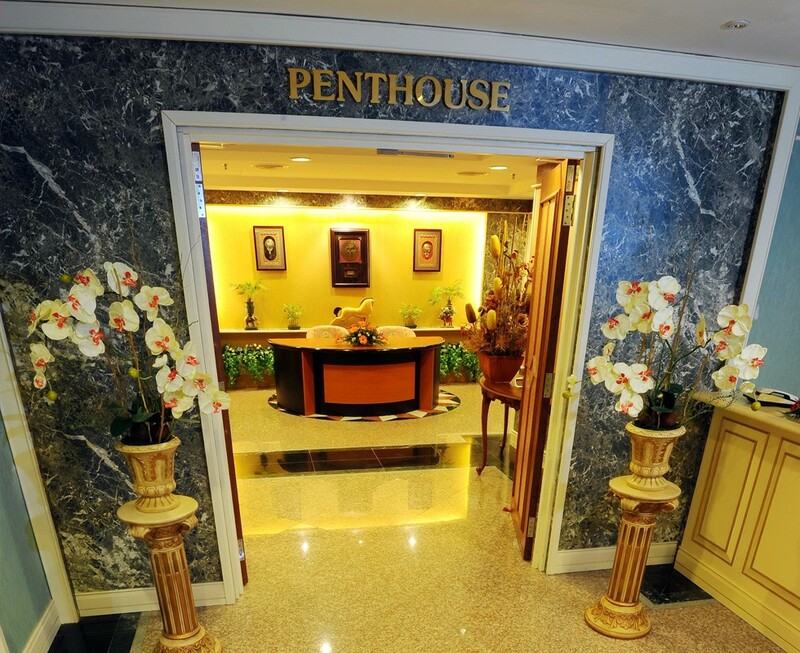 A choice of 204 contemporary designed and elegantly furnished spacious guestrooms. 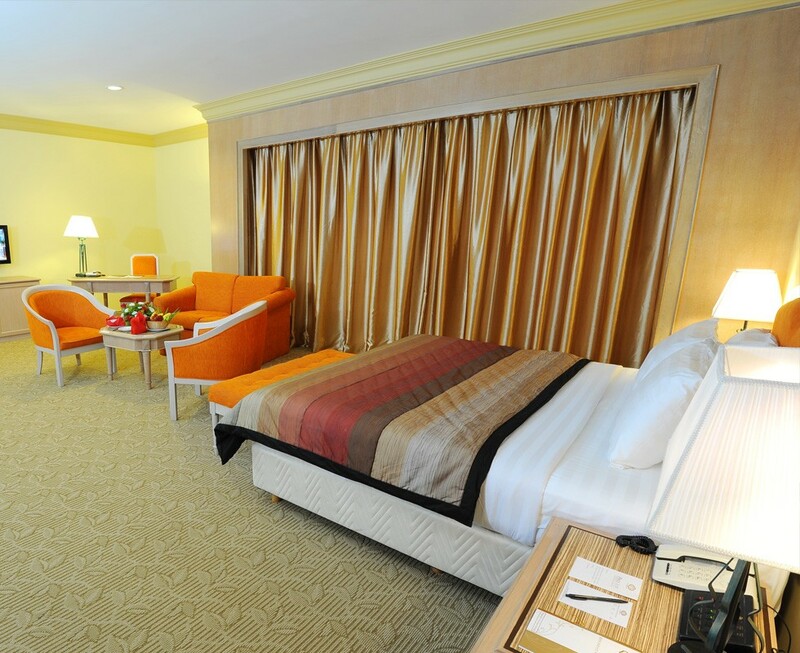 A choice of 204 contemporary designed and elegantly furnished spacious guestrooms including 117 Deluxe, 49 Family Deluxe, 30 Executive Suites, 4 Premier Suite and a luxurious Penthouse . 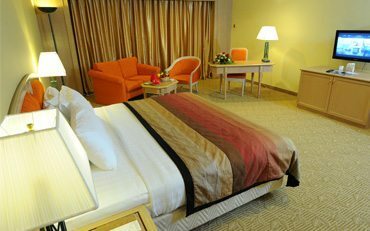 Guestrooms are large and spacious ranging from 30 sq meters onwards which are comfortably spaced out between the Hotel’s Tower and Podium Blocks. 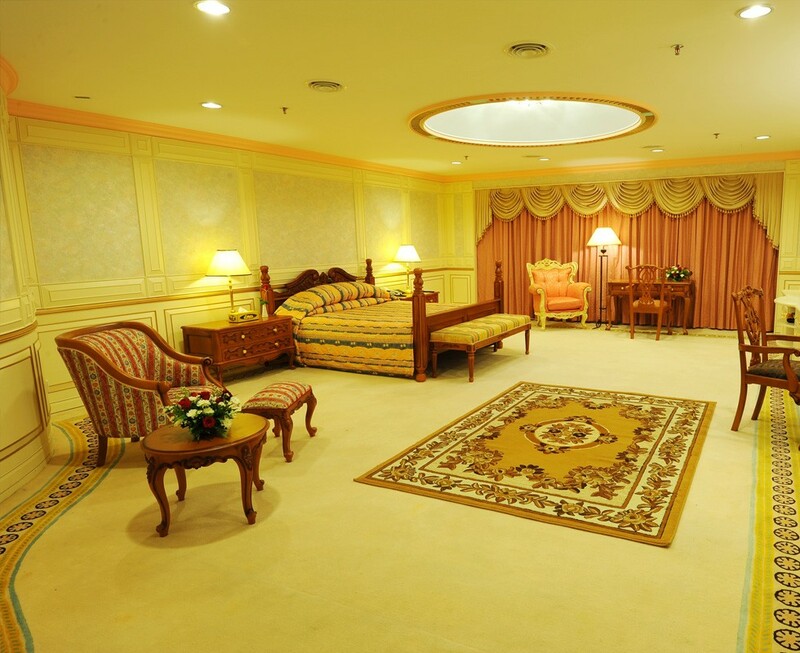 The 12-storey Tower Block houses 50 rooms including the Penthouse while the balance of 152 rooms are located at the 5-storey Podium Block. 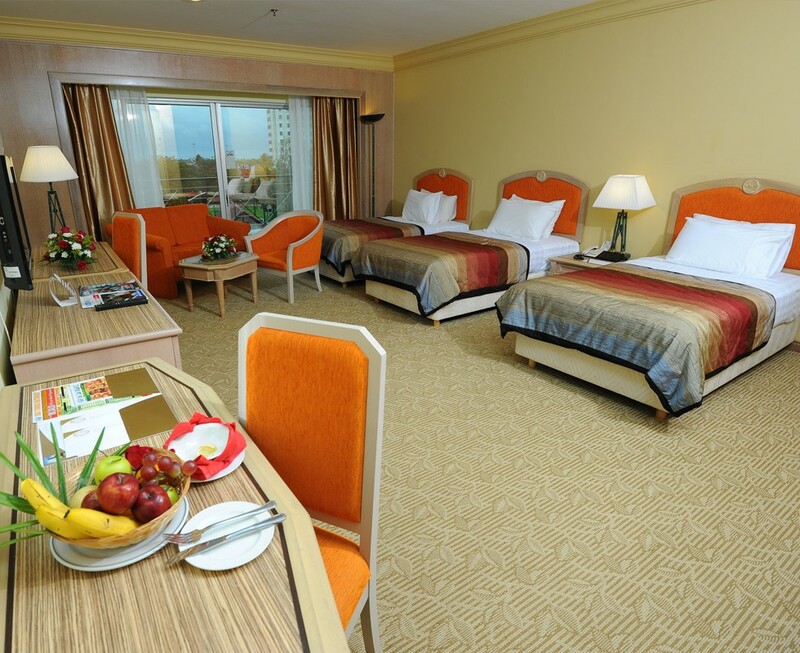 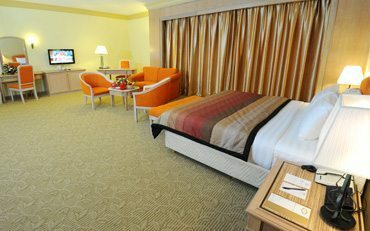 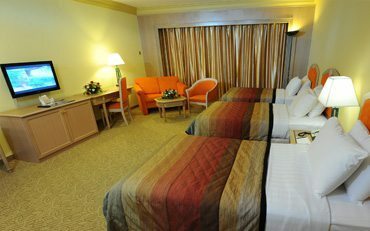 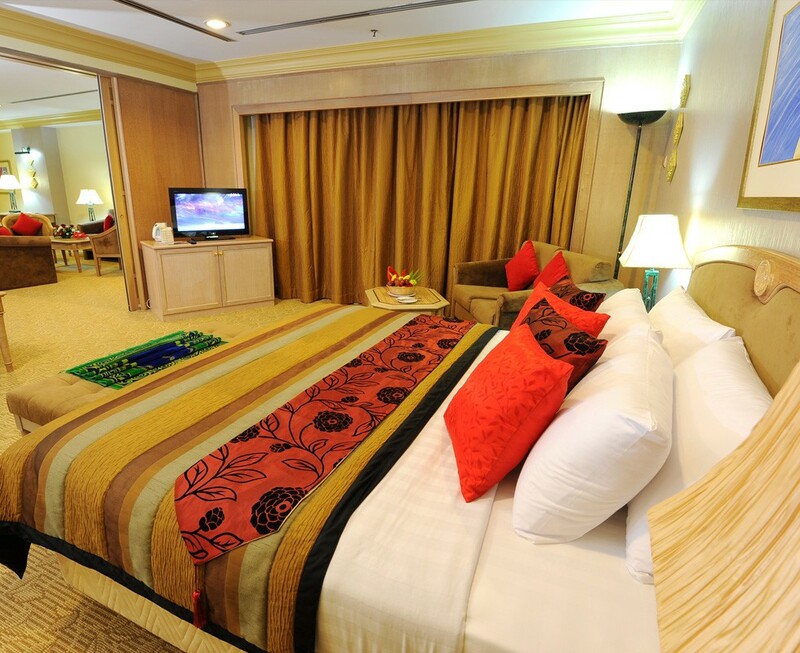 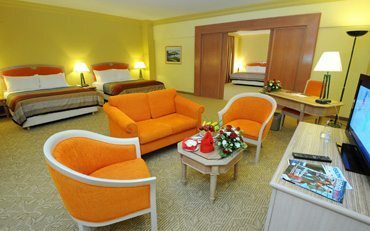 All guestrooms are provided with stationeries, amenities and toiletries of excellent standards.